Sig Sauer P226 semi-auto pistol. Famous for its quality and used by many government agencies. Run Time: 1hr. 9min. The Sig Sauer P226 is used by the Navy SEALS, government agencies and many state and local police departments along with being popular with civilian shooters. The main menu allows you to choose the field strip procedure, cleaning and lubrication, reassembly from the field strip level, the completely slide disassembly and reassembly, and the completely frame disassembly and reassembly. 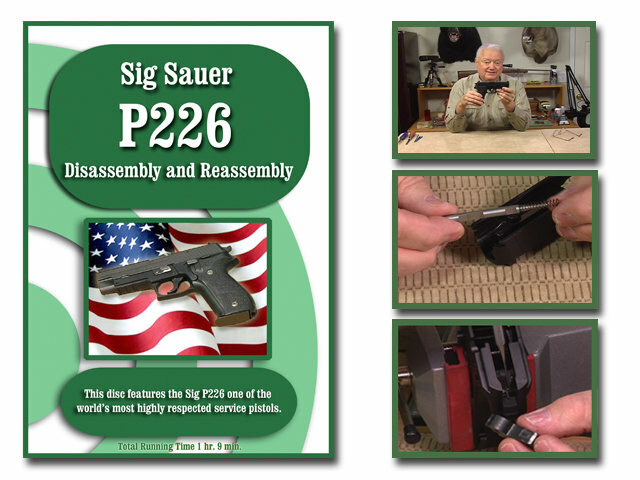 With this DVD, most gun owners can perform the complete maintenance of their P226 with confidence simply by following the easy to understand instructions. On-Target’s DVDs are digitally produced and provide clear and concise instructions. We at On-Target take great pride in the up-close videography of each DVD.